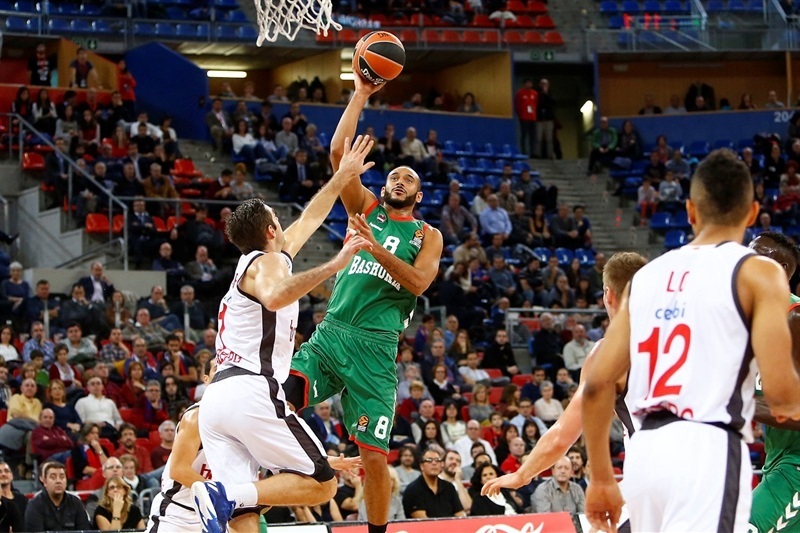 Baskonia Vitoria Gasteiz rallied from a 15-point second-half deficit to down visiting Brose Bamberg 81-74 at Fernando Buesa Arena on Thursday night. 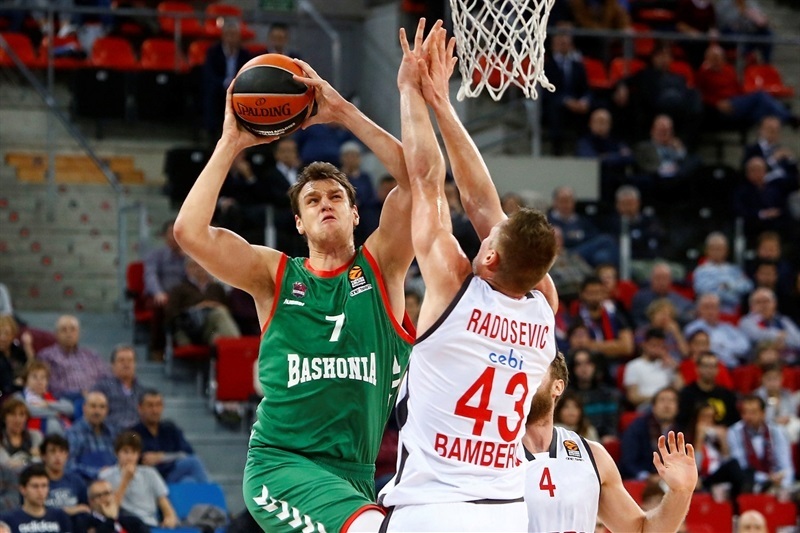 Baskonia improved to 5-3, while Bamberg dropped to 2-6. Bamberg took the lead with a strong finish to the first quarter and built its margin to 32-47 at halftime. The lead was 61-70 with seven minutes to go, but Bamberg did not score another field goal the rest of the way as Shane Larkin, Rodrigue Beaubois and Johannes Voigtmann completed the comeback. Voigtmann finished with 20 points and 9 rebounds, and Beaubois also scored 20, Adam Hanga collected 16 points and 7 rebounds and Larkin tallied 15 points, 7 rebounds, 6 assists and 4 steals. 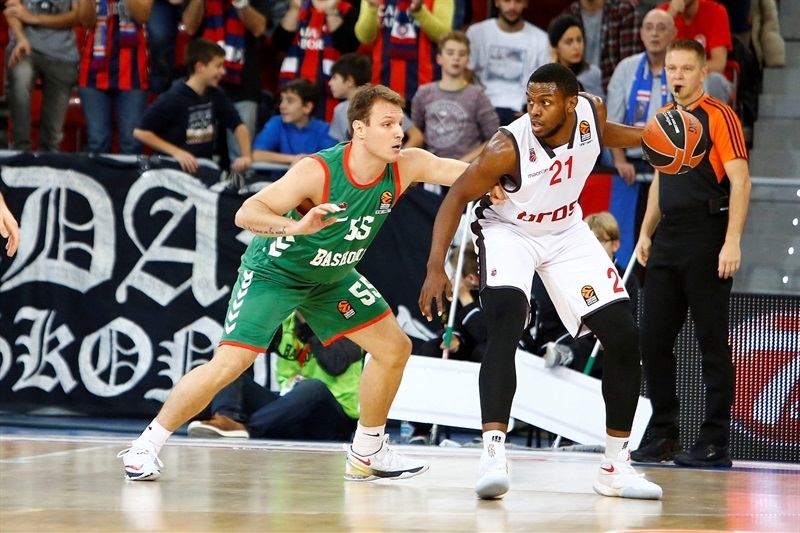 Darius Miller had 16 points for Bamberg, and Maodo Lo netted 15. 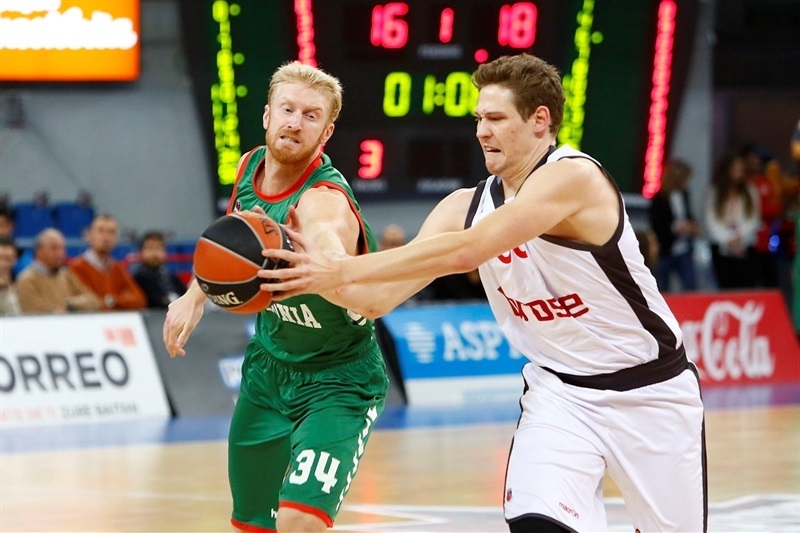 Nicolo Melli picked up a double-double with 12 points and 12 rebounds, while Janis Strelnieks netted 11 in defeat. 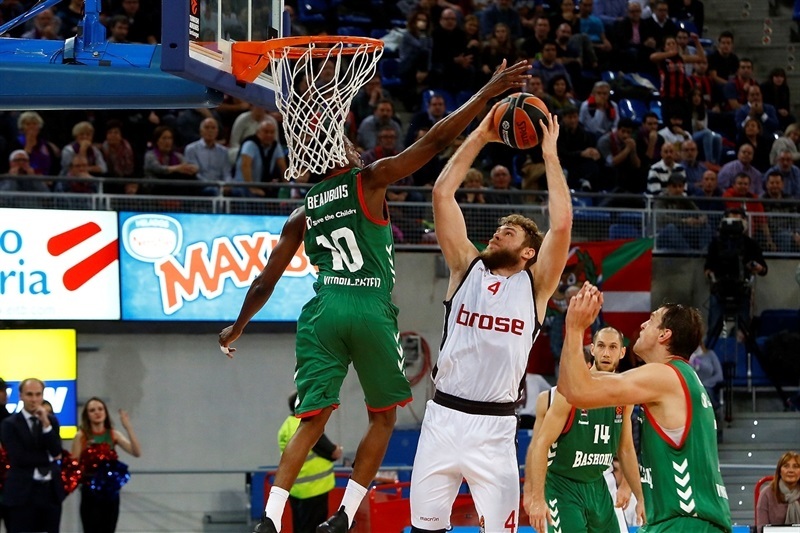 After trading early baskets, it was Bamberg that first took control. 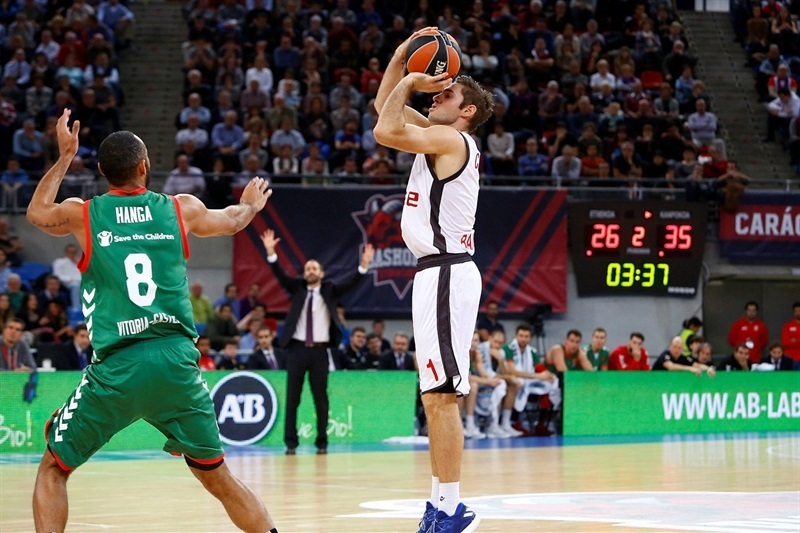 Melli had 9 points in the first seven minutes, and when he went out, Miller took over. Bamberg finished the first quarter on a 1-10 run to grab a 16-23 lead before Miller fueled another run at the start of the second quarter when Lo’s three-pointer made it 19-33. Melli and Miller had combined for 21 points by that time. 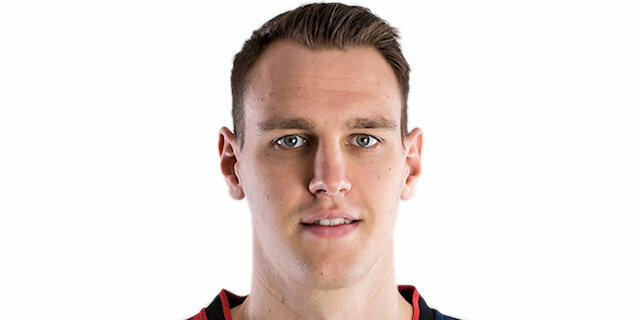 Baskonia had tried to answer through Larkin, who played a big role in cutting the deficit to 29-35, but Lo and a buzzer-beating corner triple from Janis Strelnieks got Bamberg to 32-47 at halftime. Strelnieks scored 8 more points after the break, to help keep the lead at 15 points. His three-point play made it 38-53, and his layup made it 40-55. 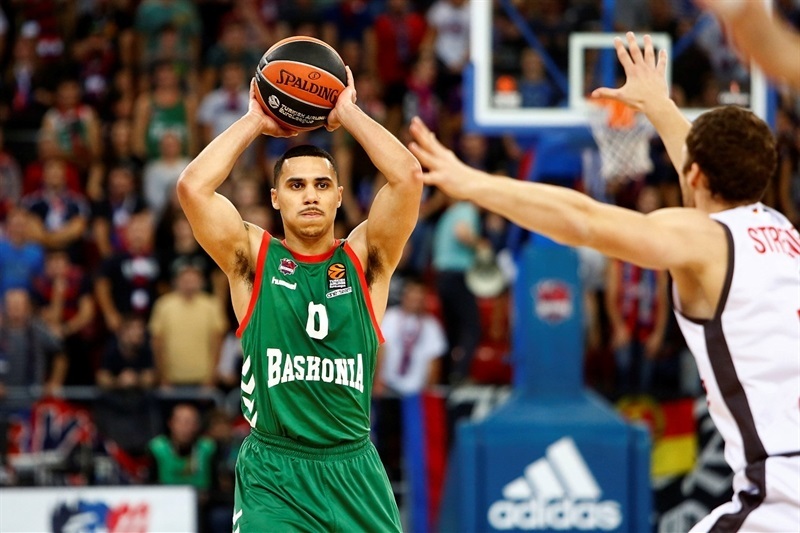 That’s when Beaubois and Vogitmann fueled a 10-0 run to get Baskonia close, but Zisis hit a three-pointer that gave the visitors a 55-63 cushion going into fourth quarter. Lo got the lead back to double-digits, and his driving layup made it 61-70 with seven minutes left. That’s when things completely changed. 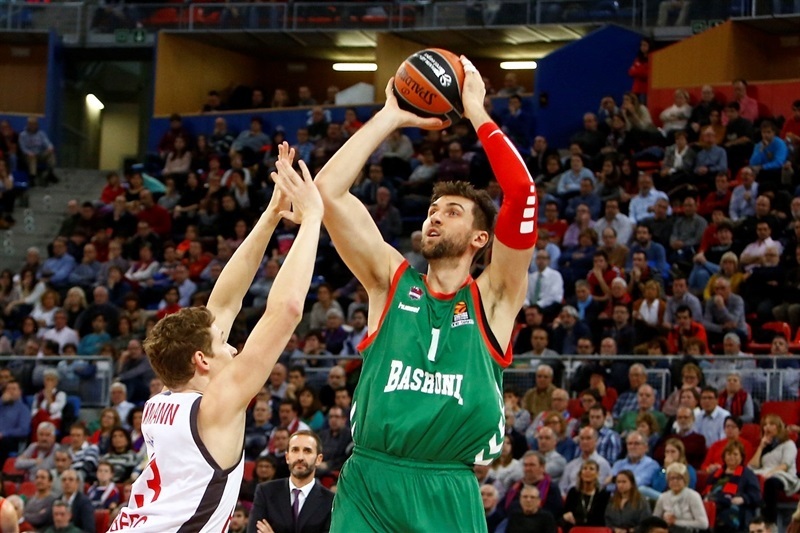 Baskonia stepped up on defense, not allowing another field goal for the rest of the game, while Larkin and Voigtmann combined to score 14 before the game’s end. 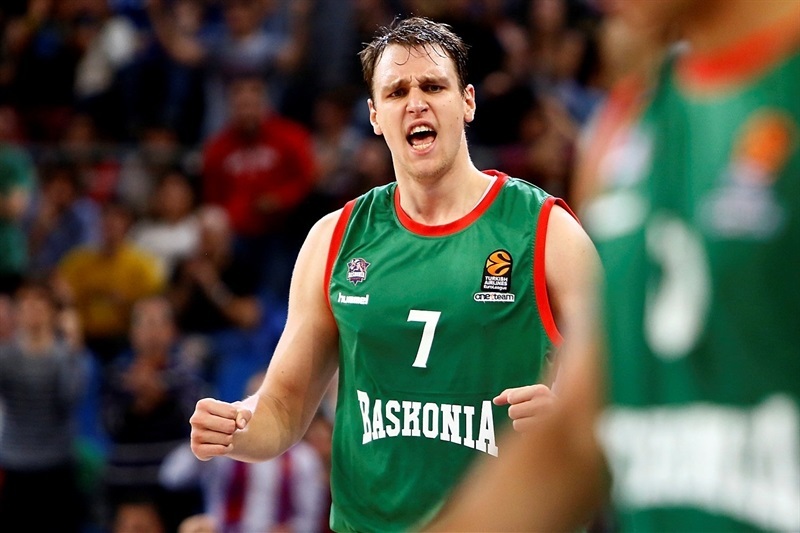 Voigtmann’s three-pointer tied it at 70-70, and Larkin’s layup-plus-foul gave Baskonia it first lead since the first quarter, 75-74. 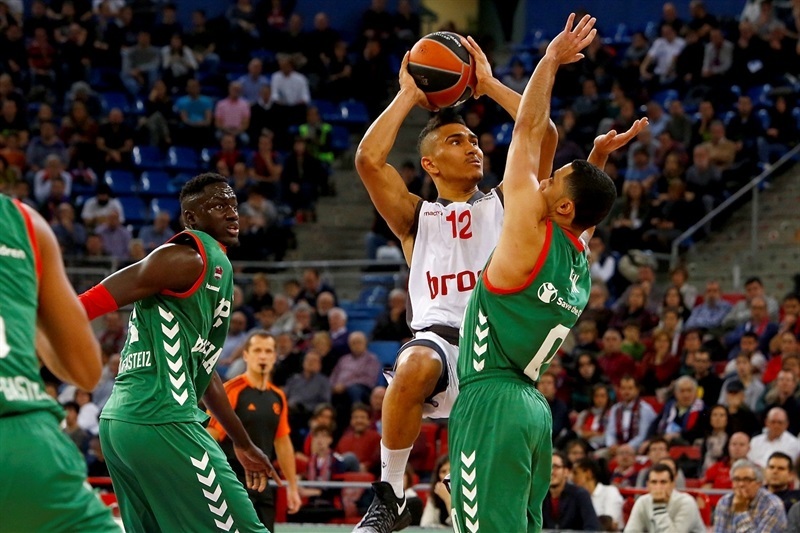 Baskonia defended the visitors’ last five possessions, while free throws from Beaubois and Larkin completed the victory. 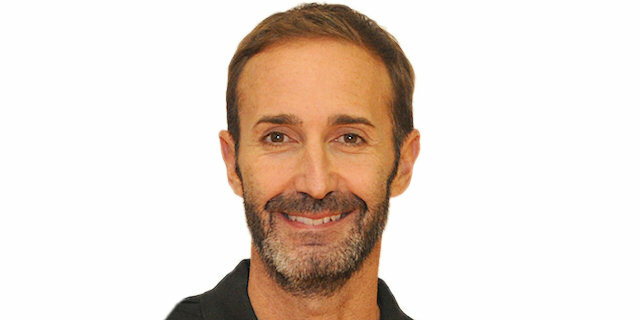 "The first part of the game, especially after the first eight minutes, was terrible in different situations, especially on defense. After losing the ball two or three times in a row without finding good options to score, the team reacted in the opposite way we needed. 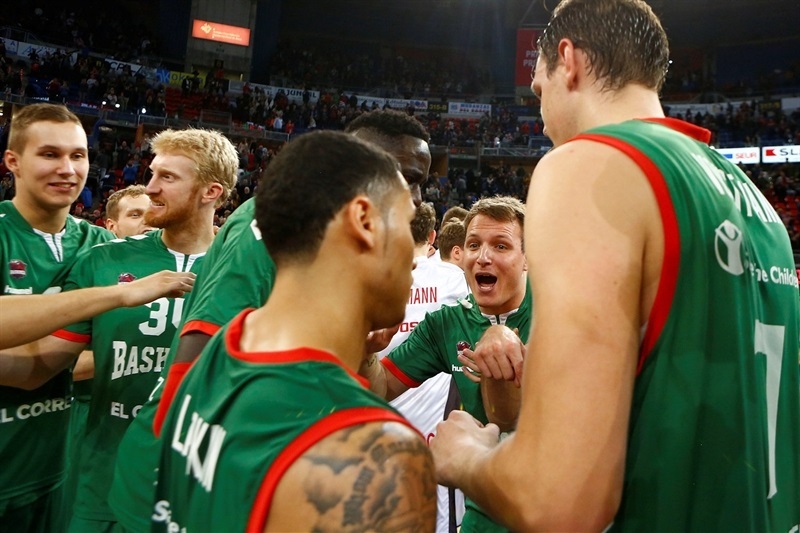 We sometimes look for answers on offense, but you have to play defense in the EuroLeague. For that reason, things were different for us in the second half. We limited them to 27 second-half points and only allowed 11 in the fourth quarter. Our team understood well the things we need to do to win this kind of game. I am very happy because in this game, we showed everyone that we always try to compete, not only when you are making shots and playing well. The most important thing is being able to beat your opponent and compete against it when you are not playing good offense, like we did in the first 20 minutes." "After 48 hours we put together a great game. We played excellent for 35 minutes. We did whatever we had to do to play in such a tough court against such a good team, and we just missed the energy at the end to finish the job. I would say that my players played a great game. We missed two centers and had to change our rotations completely. This cost us some extra energy and I stick to my guys again. 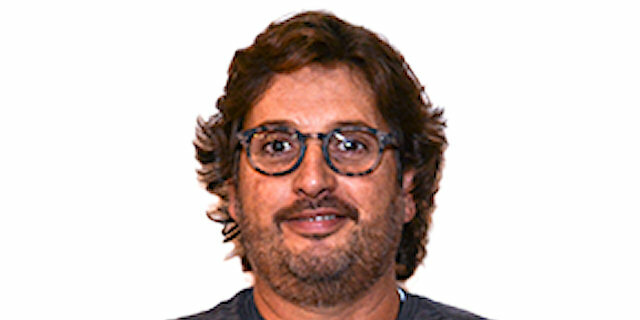 I believe that other teams that will face us in the future should worry more than I worry now, because we are going to get back all that we are producing. We are not taking home some wins. I believe that for 35-36 minutes, we dominated the game." "We had one chance to come out of the locker room and put all that we got on the court - and we did it. We stayed together on defense and made plays on offense. The crowd pushed us really hard. We played really terrible in the first half, but came over and did a good job. I really like our crowd, they push us a lot. I think we had a couple of good games now and it is still a little bit up and down because we are a new team. We have to keep developing and then we can do something."